The Bitcoin Cash community have been heavily discussing and preparing for a possible network split due to two development teams competing on which featured consensus changes will be added to the next upgrade. Additionally, over the last two weeks, Bitcoin Cash infrastructure providers such as exchanges and wallet services have been revealing their contingency plans for the upcoming hard fork scheduled for Nov. 15. Every six months, the Bitcoin Cash (BCH) network schedules a fork to implement new features and scaling enhancements to the BCH chain. 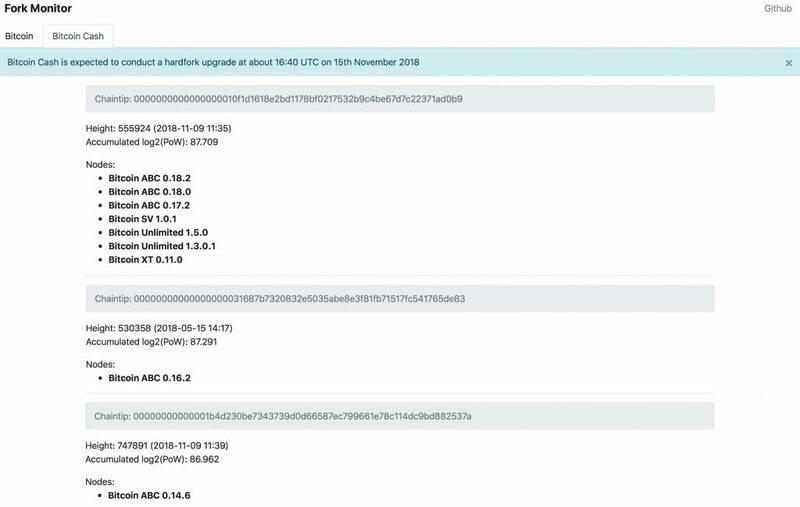 The last two upgrades back in Nov. 2017 and May 2018 were successful and there wasn’t much controversy revolving around those forks. This time around, however, the fork is contentious as there are two development teams with two entirely different proposed ruleset changes for the Nov. 15 upgrade. Because the two implementations competing do not have replay protection and cannot come to an agreement on consensus changes, BCH infrastructure providers have begun to outline business plans for the fork. In order to keep our readers informed of the impending fork, news.Bitcoin.com has compiled a comprehensive list of exchanges, payment platforms, and wallet providers who have publicly detailed their business plans for the upcoming fork. Most of the exchanges and wallets have detailed which BCH client implementations they are using for business services. However, some of the contingency announcements are less clear on which side their organization will support, while others are completely neutral. A large majority of trading platforms and wallet providers have detailed that all BCH transactions will be suspended for a period of time. Although there are a few businesses whose operations will remain open during the fork, they advise that sending transactions during a contentious fork can be risky due to replay attacks. None of the exchanges have given an approximate time on when they will resume BCH services and most state that they will wait to resume deposits and withdrawals when the fork is settled. The Bitcoin Cash network hashrate on Nov. 9, 2018, by mining pool according to the monitoring website Coin Dance. In addition to infrastructure providers announcing their plans for the upcoming fork, there are a few data sites available online so Bitcoin Cash supporters can watch the network. For instance, Bitmex Research has released a fork monitoring tool for the two most popular SHA256 proof-of-work networks. The BCH-based monitoring tool is connected to several nodes and Bitcoin Cash clients in order to display analytical data in regard to any consensus changes. The fork monitoring tool created by Bitmex. 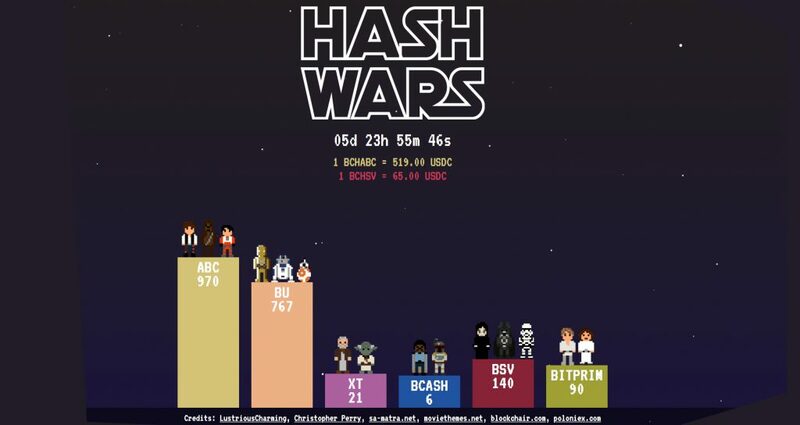 Another website people can follow is Hashwars.cash which shows visitors a graphical Star Wars-themed display of node counts and futures prices stemming from the Poloniex bitcoin cash futures markets. Moreover, fork watchers can also visit Coin Dance for block information, hashrate by pool summary, and a dedicated portal for politics and opinion as well. This section shows a community-managed support breakdown by each company for every active Bitcoin Cash proposal. It includes the Bitcoin SV and ABC roadmap and a list of weighted companies declaring which implementation they are using. Another fork monitoring website in a Star Wars theme. There’s plenty of information out there online concerning this specific fork, so people can be prepared for any changes and the possibility of a network split. There are also lots of intense discussions on how businesses and users will handle transactions during the fork, with people informing others about the best practices. With less than a week to go, at news.Bitcoin.com we promise to keep our readers informed of everything that’s happening with the upcoming Bitcoin Cash fork. 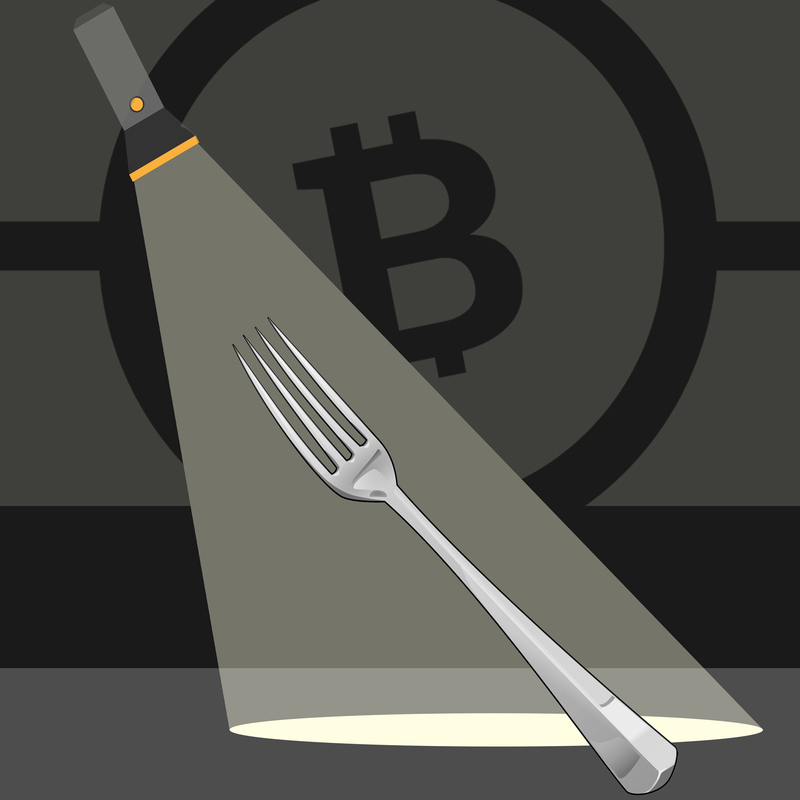 What do you think about the approaching Bitcoin Cash fork planned for Nov. 15? Let us know what you think in the comments section below. Images via Shutterstock, Jamie Redman, Coin Dance, Hashwars.cash, Pixabay, and Bitmex.